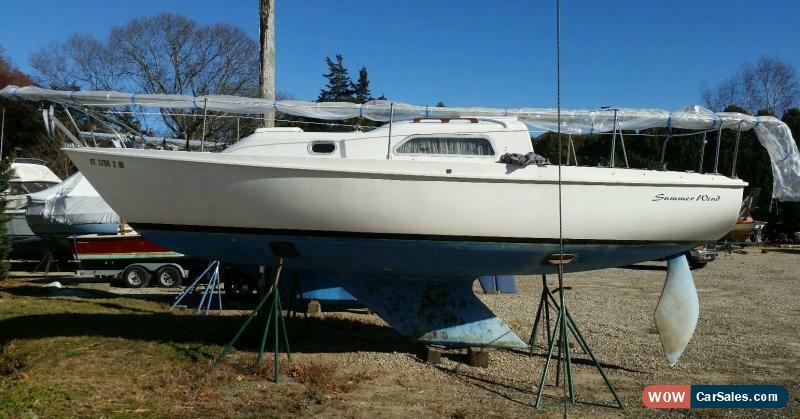 Please have your finances in order before bidding and be sure this boat is located within distance that you can afford transportation to pick up. 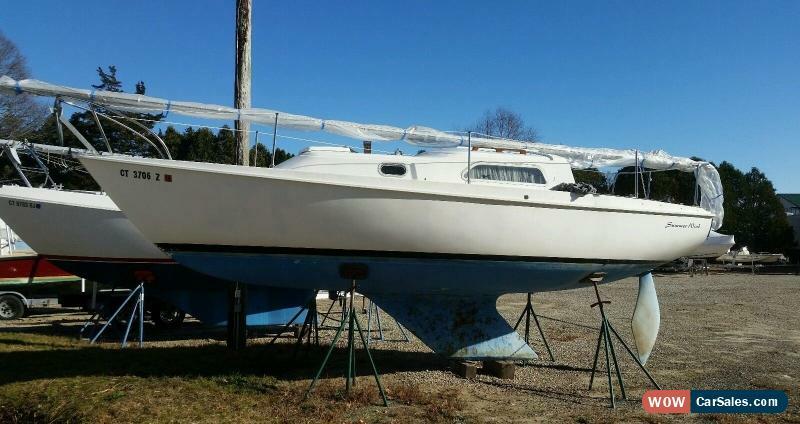 This listing is for 1973 Pearson 26 sailboat with mast, boom and all rigging. The previous owner is keeping the main sail as it was new this year and their sail maker will re-cut for her smaller boat. The used jib is included but not photographed as the owner did not drop it off in boat until after we took pictures. She is also keeping the outboard for her other boat. The boat is in good shape for the age and looks very original. The decks are all solid and overall the gel coat looks original and in nice shape. The cabin is fairly clean and the cushions are very nice. There is no battery or outboard engine included in the sale. Sold exactly as shown. Available for inspection anytime. Contact us to make an appointment to meet at the boat. 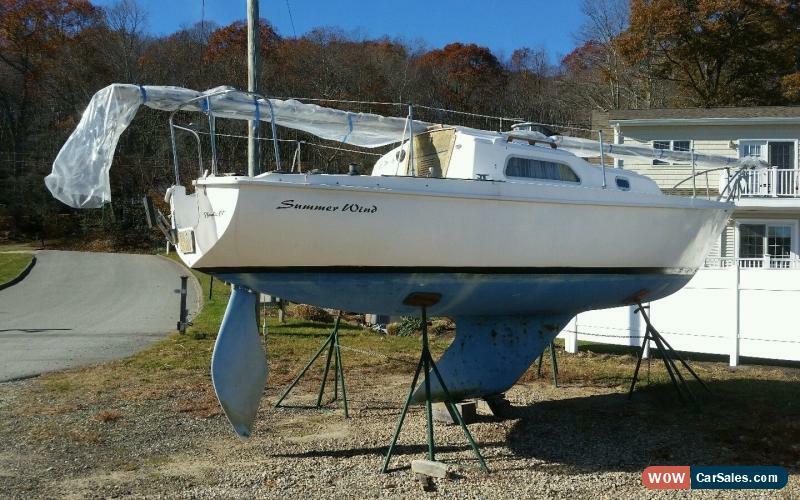 LOCATED IN NIANTIC CONNECTICUT AT LARGE BOATYARD. NEEDS TO BE MOVED asap AS WINTER STORAGE CHARGES WILL APPLY. WE HAVE HAULERS AVAILABLE TO MOVE THE BOAT QUICKLY. Feel free to call us at (860)510-2623 for more details. Buyer will need to send us $100.00 Pay-Pal deposit and contact us within 24 hours by phone or email to discuss payment/pick up with us. We have state of CT notarized bill of sale for the boat that is ready to transfer. If you need registration we can get you new one for $125 fee. The boat will need to be paid for in full within days of auction ending unless you have made other arrangements with us. Please feel free to contact us by e-mail or call (860)510-2623 with any questions. 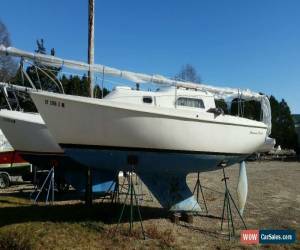 On Nov-25-16 at 11:57:24 PST, seller added the following information:The owner just informed us that she is including good used jib sail with the boat. You will still need to buy main.